After a few days in Dublin we headed out west. 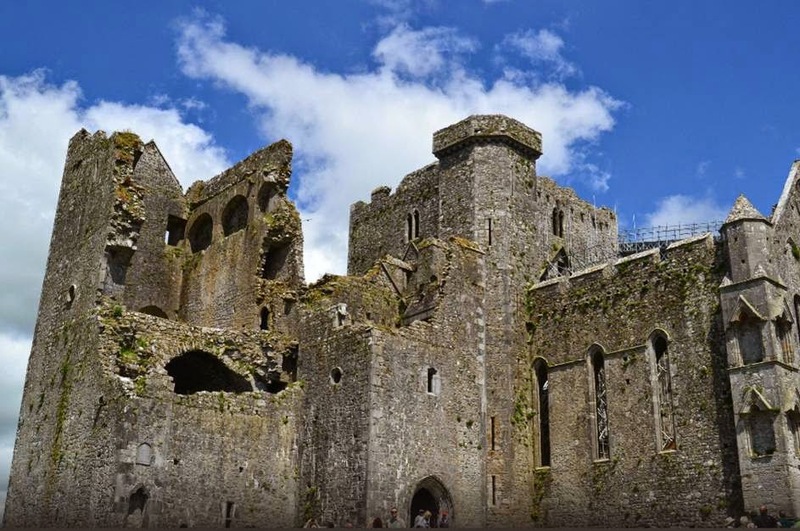 We visited Cashel Rock which was in an amazing state of decay. The guides were incredible and we learned so much. None of us could quite make our hands meet around the totem that assures you will never have another tooth ache so we all have to keep looking after our teeth. I must admit we added this to our itinerary so we could sing It's a Long Way to Tipperary but we really enjoyed the visit too. The country side is amazing and green. Even though it was July it was still chilly (by Aussie standards) but the sunshine was lovely. 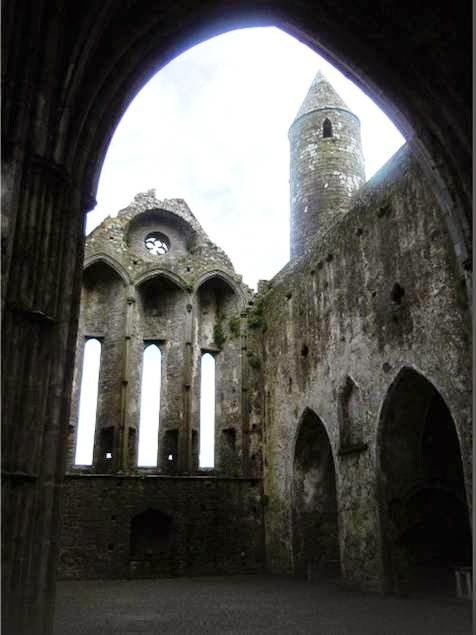 If you look closely in the photo above you can see the bishop's walkway just under the 3 windows. It is designed so he could walk around without being seen, unless he wanted to and then he could be above the parishioners. Behind (on the town side) the castle there is an extensive grave yard. Until recently if you had a relative buried here in the graveyard you had the right to be buried here too. Wow it was awesome and imposing!